(CNN) - Israel will pick a date for early elections on Sunday, a source close to a key minister told CNN, following a turbulent week for Prime Minister Benjamin Netanyahu that saw key government resignations and calls for an early vote. The decision to call early elections came after crunch talks between Netanyahu and the rightwing Education Minister Naftali Bennett broke down on Friday. Bennett had threatened to quit the government if he wasn't given the defense portfolio after the resignation of former Defense Minister Avigdor Liberman on Wednesday, but Netanyahu rejected Bennett's demands. After Friday's meeting, the source, who is close to Bennett, told CNN: "There was a need to go to elections as soon as possible, with no possibility of continuing the current government. A date for the elections is expected to be decided on Sunday following a meeting of the coalition party heads." On Thursday, Finance Minister Moshe Kahlon and Interior Minister Aryeh Deri also called for early elections. Bennett's withdrawal from the coalition would leave Netanyahu without the minimum 61 seats needed to govern, making elections inevitable and ending a government that lasted nearly four years. A spokesman for Netanyahu's Likud party said in a statement after the meeting with Bennett that the Prime Minister would try to stabilize his government on Sunday at the weekly cabinet meeting. 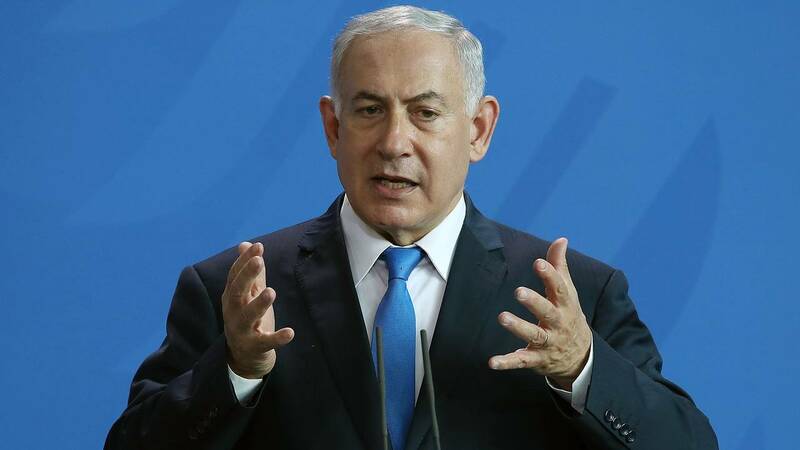 "At the beginning of the week, Prime Minister Benjamin Netanyahu will hold conversations with the heads of the coalitions, and he relies on the ministers' responsibility not to make a historic mistake in toppling a right-wing government," the statement said. "Prime Minister Netanyahu stressed that it's important to make every effort in order to preserve the right-wing government and not to repeat the historical mistake of 1992 when a right-wing government was toppled, raised the left to power and brought the Oslo disaster upon Israel." A statement released a short time later said Netanyahu had begun those conversations Friday afternoon. Netanyahu's troubles began Wednesday when Liberman, his hardline Defense Minister, announced his resignation. Liberman had openly opposed a ceasefire reached with Gaza one day earlier that ended the worst 24 hours of fighting since the 2014 war, advocating instead for a harsher blow against Hamas, the militant group that controls the coastal enclave. Liberman called the ceasefire "a capitulation to terror." From Monday night to Tuesday afternoon, Gaza militants fired some 400 rockets into Israel, while the Israeli military struck more than 100 targets inside Gaza. Liberman didn't have enough seats to topple the government on his own, but his withdrawal left Netanyahu with a bare minimum 61-seat coalition, allowing other parties to make demands of the Israeli leader. The sudden vacancy allowed Bennett, leader of the right-wing Jewish Home party, to demand the defense portfolio, promising to quit the government if he didn't get it. On Thursday morning, Kahlon, the Finance Minister, met with Netanyahu and said it was time to call early elections. In a statement released after the meeting, Kahlon said, "The stability required at this time is not achievable in the present situation, and therefore the responsible act is the establishment of a new, strong and stable government." Deri, the Interior Minister, echoed his call, increasing pressure on Netanyahu to dissolve the government. The political turbulence comes as Netanyahu faces criminal investigations that have hit him and his inner circle. Israeli police say they have enough evidence to indict Netanyahu on charges of bribery, fraud, and breach of trust in two separate investigations. He was questioned as a suspect in a third investigation. Netanyahu has repeatedly proclaimed his innocence, often employing the phrase "There will be nothing because there is nothing." The criminal investigations have barely damaged the Prime Minister's standing in the polls or his popularity. Polls have repeatedly projected that Netanyahu's Likud party would increase its number of seats if early elections are held. But the crisis may pose a new challenge for the Israeli leader, since it appears he is being led to call early elections, instead of calling them on his own. By law, the government must choose an election date within three to five months, making March or May the most likely time for elections. April is unlikely because of Jewish holidays during the month.